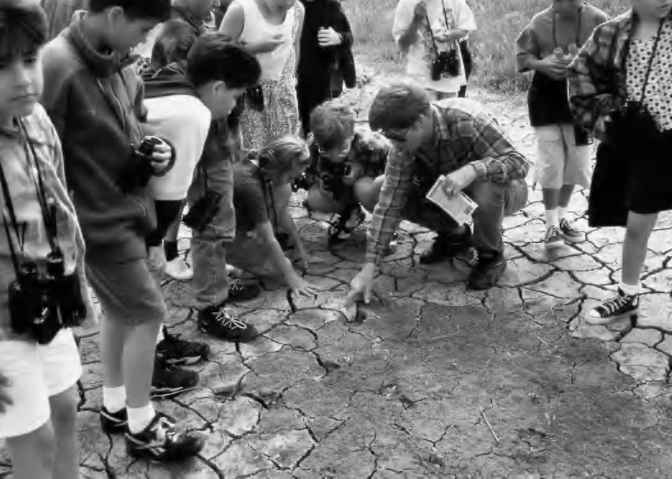 Children learn about the environmental at the U.S. Fish and Wildlife Service's San Luis National Wildlife Refuge. Researchers in the United Kingdom found in a 2007 study that 50 percent of children are anxious about the effects of global warming. employees to take action to reduce consumption. For instance, in order to encourage employees who use their bicycles, corporations may upgrade their facilities to include bathrooms with showers. Other initiatives are created as well, sometimes within governmental policies, which can have an impact on workers who change or adapt their habits and behaviors.